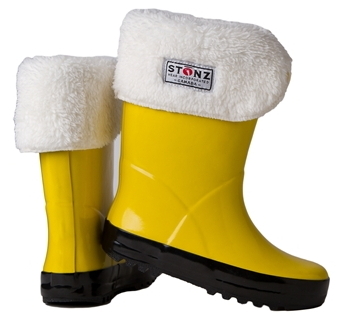 These versatile, ivory Stonz Rain Boot Linerz will coordinate with any boy or girl rain boots adding a cozy look on those cold, damp days. 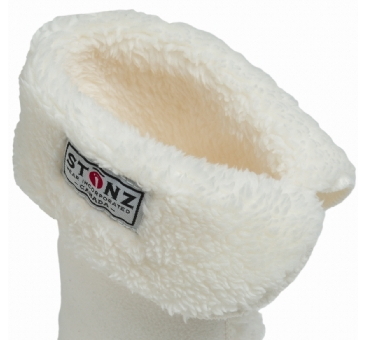 Made of soft, fine-fibre Velour-fleece – almost silky to the touch! 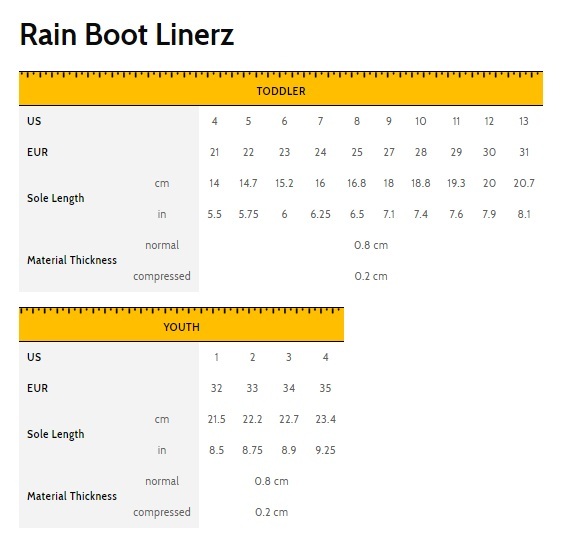 True to size and super comfy! !